Are you treating the whole patient? September 5, 2014 -- Holistic dentistry sounds a bit intimidating. I get that. For anyone considering moving beyond just fixing teeth in dentistry, however, the term "holistic" must at least be considered. Personally, I like to think of my dental model as treating the whole patient rather than being holistic simply because of the negative connotations often associated with the term holistic. But, truly, in essence, I take a look at the whole patient and help determine the root cause of his or her disease. I expand my thinking beyond my patients' teeth and work to understand their problems that lead to their disease. Their concerns often, but not always, have a sociological or psychological basis that contributes to their physiological presentation. These concerns lead to the development of coping mechanisms; the coping mechanisms are created to help them endure pain points and problems in their lives. Let's take smoking as an example. Smoking sometimes starts out as something "cool" to do. For our younger population, it's often a way to fit in (the pain is a fear of not fitting in). Others turn to smoking to help them calm their nerves (their problem is a perceived inability to cope with their emotions). Still others smoke to help them stay awake or remain stimulated (the fear is falling asleep when working or on duty and ultimately losing a job). Because of a number of sociological factors and psychological factors (note that not all are named here), smoking is chosen as a way to deal with the pain in their lives. And once started -- once a resolution to the pain is established -- it becomes very hard to change the behavior that helps defer the pain because the chosen smoking pathway actually does reduce the burden. The smoking habit may not totally cure or eliminate the pain or problem, but it at least dulls the pain or defers the problem temporarily -- in the short term. In the long term, we all know the risks and consequences of a long-term smoking addiction. But, at the time, smokers may take short-term fixes over ongoing inner turmoil, because the long-term consequences appear inconsequential in comparison to the worry or suffering occurring right now in their lives. Let's apply this to another situation often seen in our practices: a high cavity rate. I recently saw a 14-year old patient with a high cavity rate. Nearly every interproximal surface on her molars had dentin level decay. During our conversation, much came out about her diet and habits. Her mom reported a recent prediabetes diagnosis from her family physician. She also said, "Dad had to quit buying her the pop." Apparently, the patient's dad would stop on his way home from work to buy her a soda as an act of kindness and love. This discovered sociological concern doesn't just surface on routine examination of a set of x-rays or habitual reporting of decayed surfaces into our charts. It requires a different set of communication skills in addition to ones previously learned in dental school. The dental school version is often very factual and diagnostic. From this type of probing, I did learn about her brushing and nonexistent flossing habits. And, I did learn about her distaste for toothpaste. However, it's when I carefully went deeper that I learned about her stomach problems. The hygienist and I involved the patient's mom in the conversation to learn about her prolonged bathroom visits. We also learned that she just started to see a counselor. We praised this decision and encouraged her to continue to explore the causes of her reported worries. Anecdotally, we learned that her previous dentist "yelled at her," for having so many cavities and that she did not want to return to him. We began to see the whole patient. We began to see her pain points. This whole picturing thinking of patient care takes some time to develop. It is not easy to learn about our patients' inner thoughts and feelings. Few patients readily offer up their deep fears or pain points during their initial oral exam; as a matter of fact, some never let us understand their needs -- even after several visits. Many will never trust us with their deepest concerns. But many will if given the opportunity -- or if the pain becomes so great. No one likes to be in pain. Fortunately, this patient did help me understand her situation at the initial visit. Because of that, I was able to see her as a whole person. More important, I became better equipped to help her resolve her cavity issue. I know some dentists simply would choose to fix her cavities and ignore the other issues going on in her life. As a matter of fact, I used to do this myself. I did not feel like it was my place to discuss matters beyond the head and neck. That changed after several years of practice, because I kept seeing the same issues surface again and again. Patients failed to receive the answers and follow-up care they needed from other health professionals. They asked me what to do. They wanted someone to help them. They did not want to be in pain anymore. Out of necessity, I began to explore ways to help my patients with problems indirectly related to their teeth but also related to their overall lives. After recognizing root causes to people's problems and getting patients to community resources, I realized I became further evolved in helping to arrest cavity rates on a more permanent basis. Once I understood the problems, I could facilitate a discussion with the patients to help them understand their disease; with greater understanding comes a greater willingness to change the behavior causing the disease. If no one is willing to help connect the dots with patients like this, the cavity rates remains high, or the smoking habits continue, and the causes remain elusive. This month I will be speaking in Barcelona, Spain, on a topic entitled, "The Five Friends Approach: A Collaborative Effort to Improve Patient Care and Oral Health Outcomes." Helping patients with their root cause problems requires us to be collaborative in our communities. I never thought collaborative efforts and communication sessions would be such a vital part of my dental services. I truly thought I would be fixing teeth and helping people have beautiful smiles. I realized, though, by helping people achieve their inner smiles as well as their outer smiles, I have a more profound, longer lasting impact on my patients' overall health. When patients begin to take ownership of their overall health and seek care for underlying issues, they feel better about themselves, and they trust me as a reliable health resource. If we want patients to trust us, we must see them as whole people -- without judgment of their past decisions and with compassion for their pain. This takes a great deal of awareness in one's self and in others to be able to guide patients to the right resources. Bad advice can actually hinder a practice's growth rather than help grow it. As dentists, we have an opportunity to serve our patients' needs. To fix a person's jaw or tooth, we must look beyond the surface -- read between the lines -- and get at the root cause of what is affecting our patients, in addition to competently restoring their physical problem. When we do this, we further the evolution of what a dentist is -- or can be. Our patients appreciate our efforts and value our services much more when we bring this skill set to the chair with us; they want more than just a handpiece and a mirror. 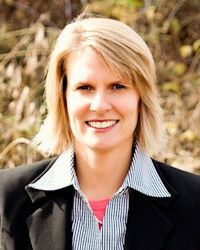 Lisa Knowles, DDS, is the founder and CEO of IntentionalDental Consulting. For more information, contact her at IntentionalDental@gmail.com or 517-331-3688. Visit her blog site at Beyond32Teeth.com or website at IntentionalDental.com.